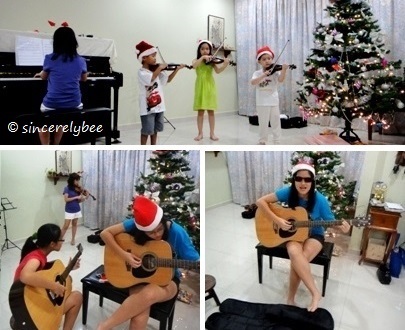 WE HAD A small get-together at Ahyee BB’s new home on this date last year. It wasn’t even planned. Our regular Sunday lunch at Kong Kong and Ah Ma’s place extended to Ahyee’s home just a stone away. Ahyee BW’s Xmas tree was quickly transported there to give an air of festivities. The kids will remember that other than the Christmas ornaments on the tree, there were red packets of cash too for them! (L) Berku got the honour of putting the final touch to the Xmas tree; (R) The little ones playing dress-up. 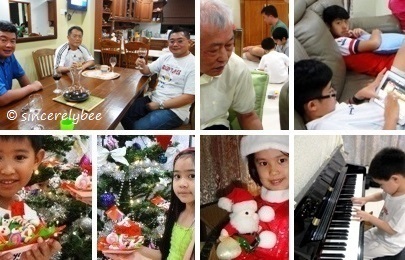 This entry was posted in Happy at Home and tagged Christmas, Family. Bookmark the permalink.